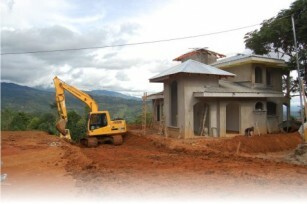 While not a lot has changed as far as foreign buyers purchasing real estate here in southern Costa Rica in 2011, I have noticed a definite increase in the nationals buying confidence again. Banks are finding themselves in the dilemma of holding on to cash or lowering interest rates and get it moving again. For a U.S. economy I know the interest rates here are still a joke, but for here they are at an all time low. Ticos' are as tired of hearing negatives about the economy as we all are and with a drop in interest rates, (and after all, we've all survived so far!) 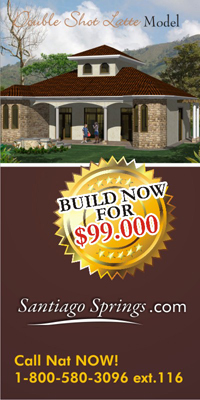 the national's are cautiously proceeding with local investments in real estate again. The plebiscite (A direct vote in which the entire electorate is invited to accept or refuse a proposal: The new constitution was ratified in a plebiscite.) called for December 18 in Perez Zeledon, San Jose, requires the participation of at least 10% of registered voters in that county, a figure that currently stands at 9,630 people. 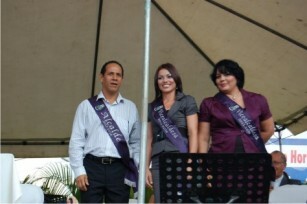 The call to decide whether the mayor of San Isidro Luis Mendieta Escudero, continues in office or is impeached. After spending nearly 3 weeks in Panama on 3 different occasions and on my second trip there, I had the privilege of going to the top of "Cerro Ancon" a look out mountain for the city of Panama and the canal. That afternoon as I looked over the city and since then, as we are beginning to do business there, I always get the same sad, lonely feeling, a feeling difficult to express or put into words. Last week as we were there again, (this time to import the first direct shipment of MZL literature into the country) one evening as I was standing on an overpass, trying to sort out the thoughts or feelings I wish to put into words. I concluded I was searching for descriptions to describe the¬†indescribable. Suddenly, as light at times comes through the fog, this title kind of wraps around what I've been feeling. As you have already noticed, I am a "feeler" person. 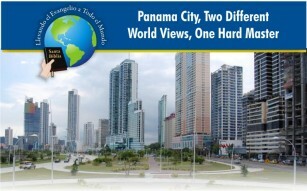 :) Panama City, Two Different World Views, One Hard Master! Foreign judges awarded prize for its taste and smell of chocolate and citrus. The Hector Bonilla family had their backs against the wall with the collapse of coffee prices in 1987. The seven year crisis continually bringing them to an ever closer decision, that of going to work in the U.S. The drop in price was leading him to the same fate of his fellow neighbors who lost their native land in Leon Cortes, but in 1994 a miracle happened and the price of coffee rose in the New York Stock Exchange. Coffee prices have topped $3 a pound for the first time in more than 34 years. A drop in supplies of high-grade arabica coffee beans and a growing taste for upmarket coffee among the middle classes of China, Brazil, Indonesia and India are blamed for the sharp rise. Continuing weakness in the dollar has also kept many commodity markets soaring and encouraged a buy-up of arabica beans.